The winds have been strong here in Bryson City this week. They are bringing in the cold winds of the north. But while the breeze has been chilly, the sun has been shining down on our little mountain town. 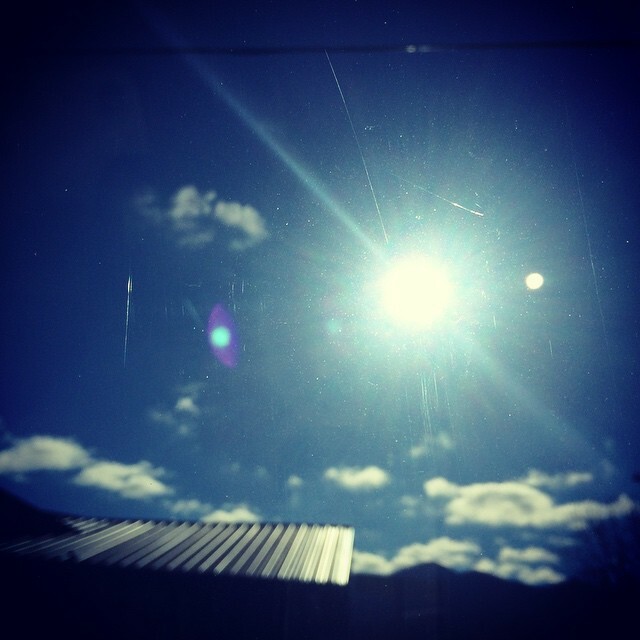 The bright sunny days are leading us into the clear winter nights. Nights so crisp it seems you can almost grab a star. Nights that make the moon seem a lot closer. 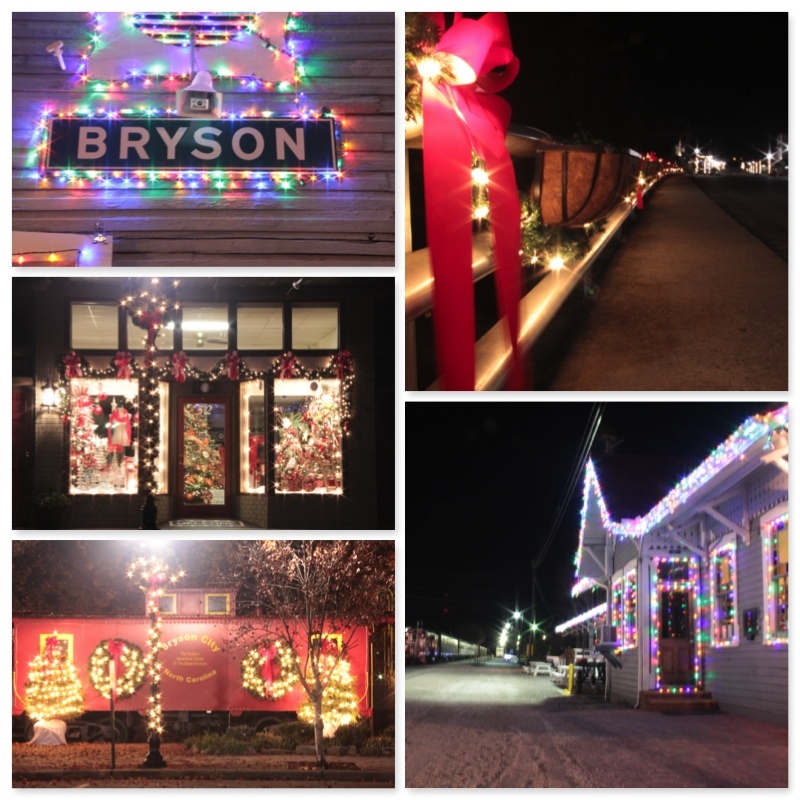 Bryson City is nestled right up to the border of the Great Smoky Mountain National Park. In town, we are in a magical valley with a wide river bringing fresh mountain water and trout. The majestic mountain peaks surround us, some still covered in the snow and ice they protected us from. This is a place where you come to feel one with nature. This is a place to remind us of our roots. This is a place that helps us to reconnect with life, ourselves, and each other. Come find out why we love it here. Come visit for the day, the roads are clear enough to make the drive safely. Come visit for a weekend, in a warm cabin or bravely with proper camping gear. Come as you are. Winter is a slow, peaceful season. Come enjoy it with us! Looking for a special way to say “I love you” this Valentine’s Day? Then plan a trip to the Smokies and let the magic happen! The Great Smoky Mountain Railroad has announced their special sweetheart train ride for this Valentine’s day. 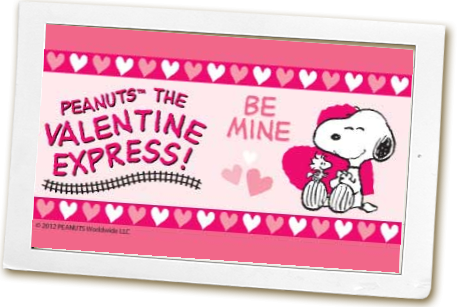 Join Charlie Brown’s gang for the Valentine Express & Sweetheart Train. The ride departs Saturday, February 15th at 11am from the Bryson City Depot. 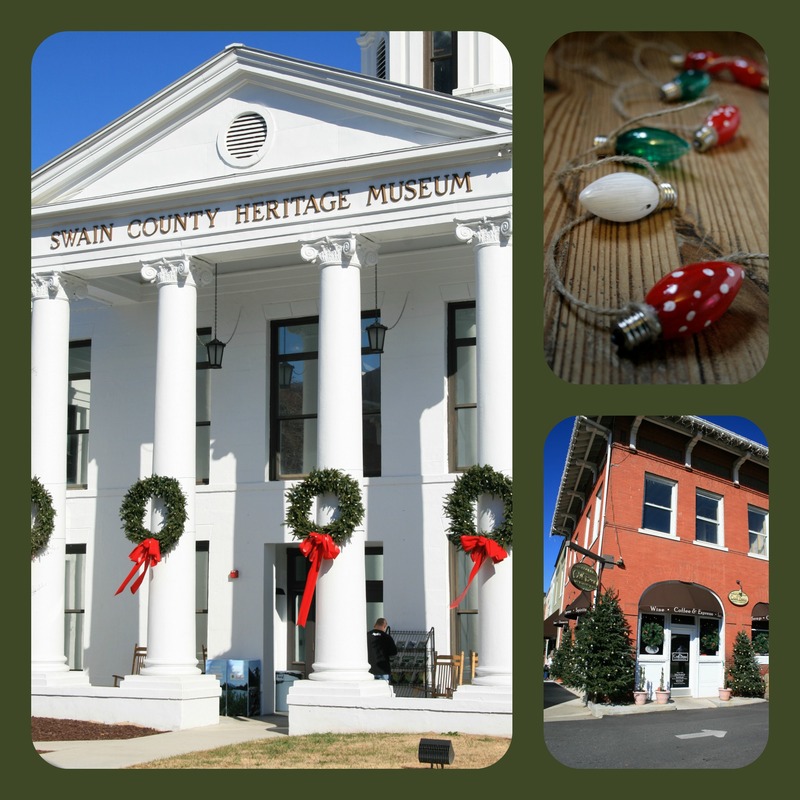 Travel along the Tuckaseegee River to the quaint town of Dillsboro. There you and your sweetheart can enjoy a 1.5hour layover. Plenty of time to enjoy lunch or just stroll town and peruse many of the shops and galleries there. This is great for the whole family and not just for couples. However, if you are a couple looking to bump the ride up a notch in the romance department, you can upgrade your ticket to Adult First Class. There you can enjoy a delicious lunch served by a private car attendant. Adult tickets are $94. Make sure to reserve yours now! The Smoky Mountain Community Theater is located in Bryson City, NC. Each year they do an amazing job of selecting plays and supplying our little town with live, quality entertainment.These plays showcase the local talent, both on stage and in production. Lots of time goes into set design, costumes, and rehearsing. The end result is always fun to watch! The theater is a volunteer driven non-profit organization. The building itself makes it worth the visit, with the original wooden theater seats it is like stepping back into simpler times. 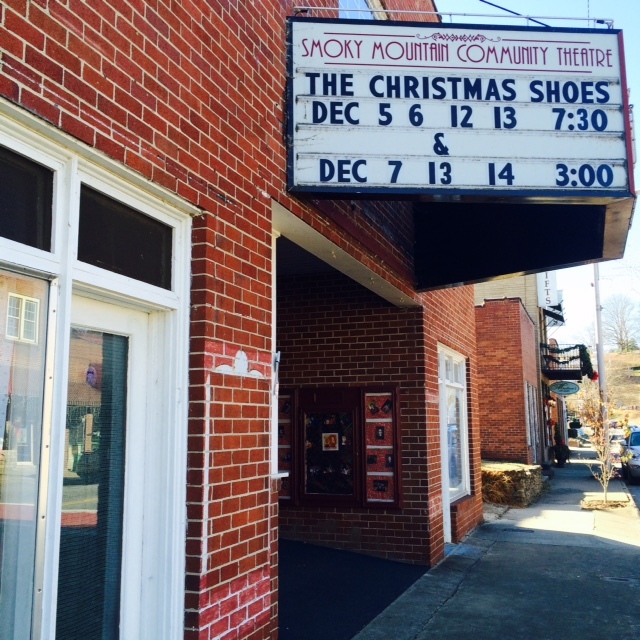 Currently the Smoky Mountain Community Theater is putting on J. Daniel Smith’s arragement of the holiday play, “The Christmas Shoes”. Based on the song of the same name, you don’t want to miss this music-filled production! This weekend marks the final showings! Don’t miss it! As we browsed social media sights this morning we couldn’t help but notice how many pictures there were of smiling, happy, fly fishin’ people. That’s right it isn’t too cold yet! Lots of brave outdoorsmen, and women, are suiting up and heading to the creek. During December in the Smokies the water tends to fluctuate between 40-55 degrees. Trout are cold-blooded creatures and are still moving and feeding during these temperatures. While temps below 40 can make the catch harder, it is still possible. So don’t let the cold keep you from having a little fun. The mountain streams of the Smokies are full of trout and they’re waiting for you. Not a fisherman? Maybe this winter should be a time to learn a new skill. 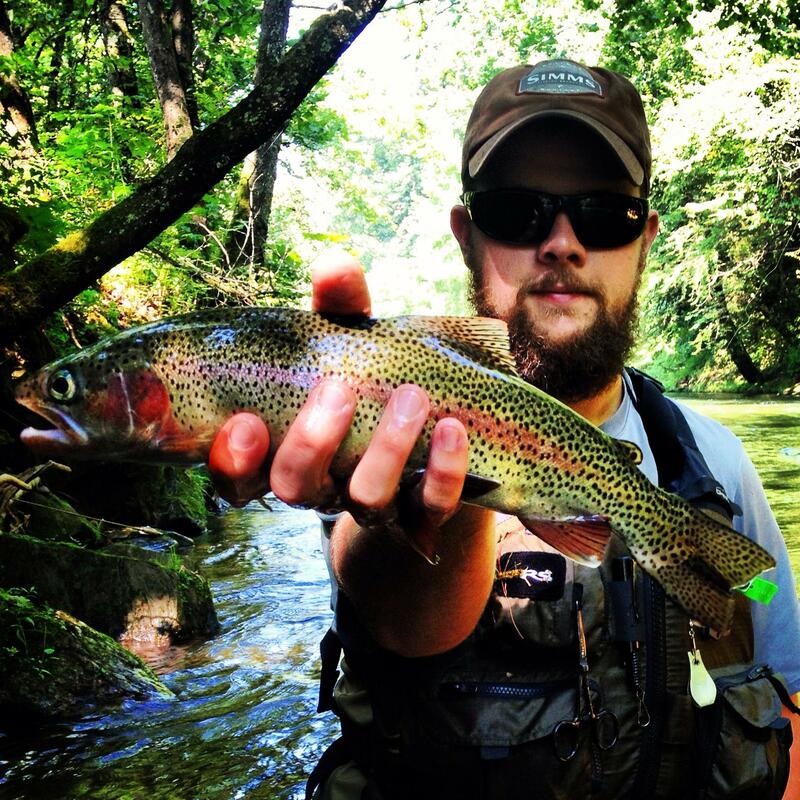 There are lots of fly fishing guides available for hire in and around the Smokies. Take a trip with one of our company partners like Nantahala On The Fly or Endless River Adventures. Right here in Bryson City, new this year, is the Tuck Fly Shop. They offer guided trips, lessons, and have everything you need to get off the couch and take to the wilderness! Today is a rainy and unusually warm day in the Smokies, but those drops haven’t put a damper on the holiday spirit in the small towns surrounding the park. This morning as I walked through crowds of happy holiday people in Bryson City I could tell that they weren’t letting a little rain stop them. Pajama clad families stand under umbrellas waiting to board the Polar Express. Coffee shops are full of people escaping the wet and warming up with a latte or a simple hot chocolate. Christmas lights seem to twinkle through the sprinkle! We’re not letting a little weather stop us from ringing in the holiday season. Bryson City’s “Biggest Little Christmas Parade in the Smokies” is scheduled to start at 2pm as planned. 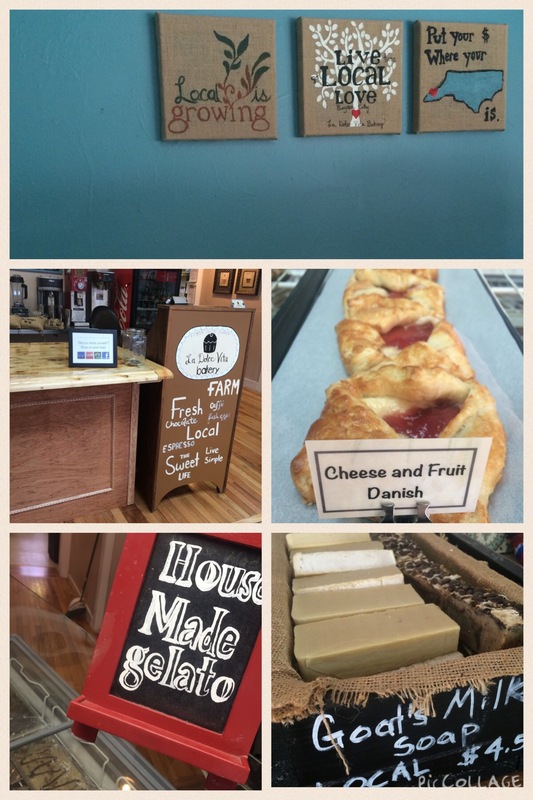 Shops are open! Christmas music rings out through the doors and down the sidewalk. Don’t let the rain keep you inside! Come join us! Since you’re already in the area, the Cherokee Christmas parade starts at 5pm this evening.